Sooner or later we all get tired of writing day after day and sometimes things just come to a complete halt. We seem to be stuck for something to say or what to write next. Writing every day, especially when it has to come straight out of your head – as opposed to re-writing something – can sometimes become very difficult. How can you get that creative muse to return? Get away from it all and do something different. One of the things I love to do is take a research trip. Luckily, in Denver, research can be as easy and fun as going downtown to the history museum to do research on time travel I am working on. Or even better, how about a trip for tea at the famous Brown Palace Hotel? My time traveling heroine would be sure to visit such a spot, especially if she was in Denver in the early 1900s? Okay, back to work.... one of the ways to keep away the doldrums is edit what you have already written, though there are times you don’t even want to do that. Last week I wrote a blog on looking for other outlets and blogging is one of those outlets. Writing something other than fiction is a good way to get the writing groove back. 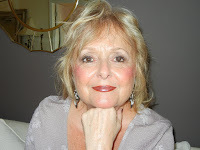 As I wrote in that blog, I will be teaching a class on writing non-fiction, starting next week at Savvyauthors. One of my projects has been to work on a series on great women in Colorado history. That has given me a great chance to learn about some wonderful heroines who did so much to mold the history of the state, but also made great discoveries that changed history. Going from fiction to non-fiction is a wonderful way to sharpen your focus and also to work on your writing skills. But what else can you do? There are other options out there, including skills I’ve learned as a result of my non-fiction work. One of the suggestions I give to writing students who are developing characters is to do an interview with the characters. When I do non-fiction interviews I am always having to come up with a list of questions that are tailored to the interview subject. Fiction writers can also interview their characters, and I always suggest the author fashion the interview questions specifically for that character. Then the real work starts. Answer as the character and let the answers go long. Really dig into who the person is and let their personality come out. This past week I was teaching a class on developing characters and one of the final assignments was to do an interview with the character. I always find that is a good way to get your characters to start talking and to get to hear their voice. Whether you are writing first person fiction or in third person, letting that person speak for themselves for a few paragraphs can be very helpful. Let the person’s voice come out. Let their inner frustrations come through. It might be in the form of the interview, but you can also try letting them write a few paragraphs as though they were writing in their own diary. Then after you have let them go on and on for a few pages in their own head, you can study their answers and use that information in the story you are currently working on. The more you get to know your character the better off you are. about how they feel about the main character in the book. Ask what they might do to thwart that main character and ask about the weaknesses they spot in the hero or heroine. Again, you are not only revealing more about your villain, but it might also point out some things in your hero that you might not have noticed before. These are all things that can then be translated into the story itself. 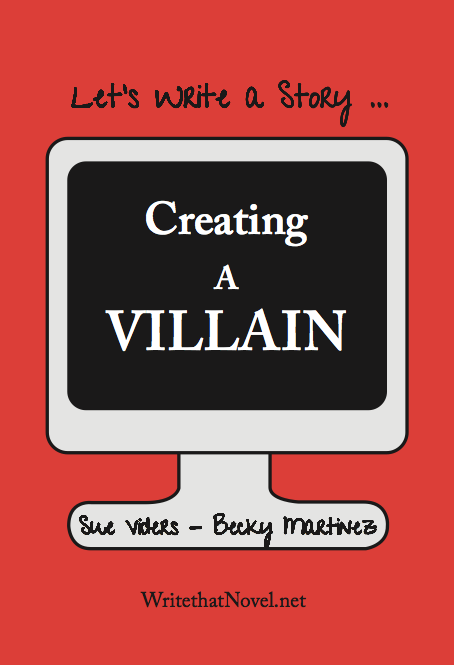 This month I have been working on my latest book – one about Villains that will soon be out at Amazon to join the other non-fiction writing books I’ve written with Sue Viders. And that brings me to another idea for what to do when you have the doldrums and can’t think of what you want to write next. Put your own knowledge into a story or blog for others to read. We all write differently, but there are always nuggets of ideas I learn from other writers just by reading their blogs. We all have different ways of doing things and learning other ideas or thoughts can be helpful. Sometimes we run across things we hadn’t thought of or we run across things we’re forgotten we heard earlier and meant to try. Reading or writing blogs regularly can be very helpful. As writers I think we read more than most but we can also remember to read for learning purposes rather than simply for pleasure. Learning about a new trend or a new idea can always give a new idea for a story. I always like to read news stories – especially human interest stories – because they can be another source of information that you might be able to use later in a book or fiction story. Also if you blog regularly don’t ignore those old blogs. Go back through them and see what you wrote about last year, maybe the year before that. How much more have you learned about the writing craft since then? What have you tried that didn’t work that you might caution others about? There are always so many things to write about – an idea can hit you at any time, so it’s important to keep your mind as open as your eyes. My sister is constantly asking me why I love to go to book signings or take my time to have signings of my own. Standing in line seems like a pain to her and even getting to talk to the author doesn't seem to appeal to her -- the author is a stranger. For me, I love book signings--whether it's behind the desk signing or standing in that line meeting other fans of the author. Every week I check out the email from Barnes and Noble and from my local bookstore to see which author is coming to town and when the book signing is. Why? Well, first it's an excuse to visit the bookstore. But it's always fun to hear how an author comes up with a character or how the author comes up with a plot. I learn so much from hearing them speak, it's like being in a writer's class. 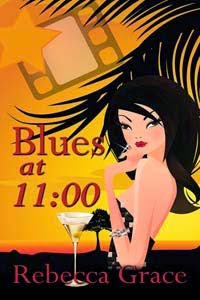 The last signing I did personally was at Left Coast Crime in Reno, with fellow mystery authors. That is a great convention because it draws authors and readers so the people we are meeting in the sessions and at the signings may be readers as well as writers. For me, I enjoy being the reader and getting the opportunity to personally question the great authors I love to read. 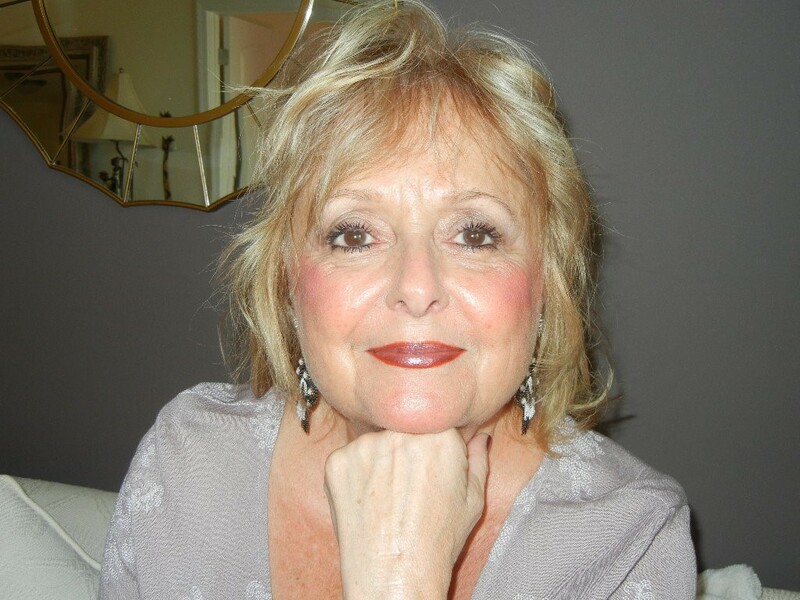 For instance, one of the recent signings I attended was with Anne Hillerman, who has taken up the characters from her father's mystery series and made Bernie Manolito a heroine in her own right. 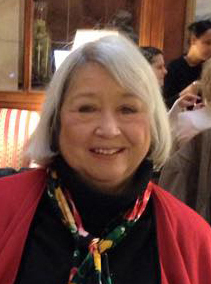 Having read all of the Tony Hillerman mystery novels set in Navaho country, it was fun to hear her tell how she grew up with his characters to the point that Jim Chee and Joe Leaphorn were like part of her family. It was also great to get personal advice from her on how to make setting more realistic. 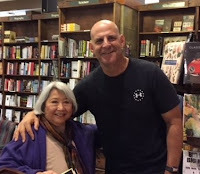 Another great signing was meeting best selling author Harlan Coben who told us how he came up with the idea for his book, Promise Me, published several years ago. Since that was the first book of his I read, I found his discussion fascinating. That book hooked me on his characters of Myron Bolitar and his pal Win for life! I went back and got every book that featured them and have read every book since then. But the best part about going to any booksigning is getting the opportunity to get inside the author's brain, whether it is how they come up with ideas or how they develop their characters. This is the sort of information you can't just get normally -- unless they decide to write a book on writing. Hearing the great Sue Grafton talk about her journey from working at studios in Hollywood to her creation of Kinsey Milhone was a memory I'll always carry. The main thing I've heard from listening to all these authors is that writing is hard work. We all have to put in the time and get the experience and we all worry we'll never write again. That makes facing the next day of writing easier for all of us. Getting tips from the best selling authors and hearing their struggles only make others, like me, work harder. The only answer to any question seems to be to keep on writing and let the words keep flowing. That's the lesson I tell to students when I teach writing classes and they ask how they will ever succeed. The only answer is to keep the stories coming. Keep writing and don't give up. You’re not allowed to be a coward and be in love. You must choose one. Special Agent Laura Logan had a difficult childhood and that’s putting it mildly. Laura channeled her buried rage into her studies, earned a law degree and joined the FBI. As a member of the new human trafficking task force, Laura wants to impress and she wants to make the perps pay. Detective Lieutenant Steve Moretti moonlights at a very exclusive adult club, his reward is a free membership along with other perks. His family is pressuring him to find a nice woman and settle down, but that bridge was burned by his ex. His new view: Marriage is betting half your stuff that you’ll love someone forever. A kidnapping shocks Steve’s town and the FBI is called in. 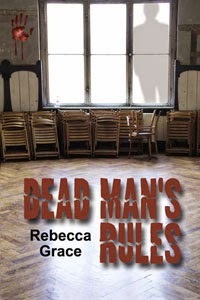 Steve and Laura meet at the crime scene, sparks fly, and they work the case together. As passion ignites, their no-love commandment is tested. Can they overcome the heartbreak of betrayal and learn to love before it’s too late? Are they so afraid they refuse to love at all? Yes, very intriguing, wouldn't you say? This is book two in the Steel and Desire series but it reads as a stand alone as well. in lieu of reading to them. A serious daydreamer, she tells us that she used to think that it was the complete opposite of her education and work in the sciences, but now she says realizes scientists are the ultimate daydreamers. Fantasy has always been an escape for Kendra. She admits she enjoys weaving a thrilling romantic tale around TV and film characters, which is her favorite way to fall asleep at night. Inspired by authors J.R. Ward, Cherise Sinclair and Sylvia Day, she says she decided to write her own series: Steel and Desire. Now she has finished book two. Will there be a book three? We can only hope so! Kendra grew up on the beaches of Long Island’s bucolic east end, but recently relocated to Virginia. When she’s not writing she can be found in her kitchen whipping up something scrumptious or in the studio painting, or fusing glass into decorative dishes. Any questions or comments for Kendra? I've said before how much I enjoy finding new authors to read, but how about authors that offer something very different and unique and fun? Even better. And Gothic novels? Hooked! 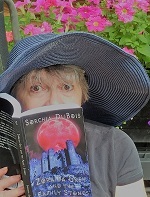 That was how I felt the instant I saw the cover for a new book from award-winning author, Sorchia Dubois. She is my guest today in My Writing Corner. She says she lives in the piney forest with seven cats, one dog, and one husband. A proud member of the Ross clan, Sorchia says she enjoys incorporating all things Celtic into her works. She can often be found at Scottish Festivals watching the kilted men toss large objects -- for no apparent reason. She says she also likes a drop of Scotch now and then. Tell us a little about how you became a writer. Well, that’s a tangled story. I’ve been writing little bits and pieces since I was a little kid and always planned to be a writer when I grew up. I wanted to go into journalism, and eventually write books. Unfortunately, I grew up in a benighted region and time where women were supposed to be either nurses or teachers or stay-at-home moms—all honorable and valuable positions, but not really what I wanted. Between the school counselor and the college adviser, I let myself get steered into teaching and spent twenty-five years doing that. Teaching was fine, I liked the kids and enjoyed other teachers, but every now and then, that little voice in my head would tell me how disappointed she was in me. So finally, I listened to her. My first book was published in 2014 and I’ve been working steadily on building a brand and writing new stuff. This year--2018--looks like kind of a break-out year with at least two books to be released and two more to follow shortly. If I could go back and tell that counselor and that adviser a thing or two, I would—but ultimately, it’s my fault for not getting started sooner. My advice to everyone who has the writing bug is to tell all those naysayers to sod off, get busy, and do what you want. You’ll regret it later if you don’t. Strangely, no. I thought I would write nonfiction—the journalism thing, again. I enjoyed writing about obscure places and people and I envisioned travel magazine and newspaper features. But I started writing short stories and stumbled into a romance contract. I wrote a book before that particular deal collapsed and I was hooked. That book—Just Like Gravity—was my first real romance novel and I loved it. I found another publisher and that is when I really jumped into the publishing biz. I still find that truth is stranger than fiction, but I also find that writing fiction is immensely satisfying. I like telling stories, for one thing, and I like planting little Easter eggs and little messages along the way. An author I admire once replied to a question about why she writes fiction by saying something like “I want to give my readers a good time on a bad day.” That about sums it up. I’ve gotten lost in books many times to avoid unpleasant reality or to unstress after a rough day. Providing that kind of experience seems worthwhile to me. Right now, I am right in the middle of a Gothic/fantasy romance trilogy. Book 1, Zoraida Grey and the Family Stones, came out in 2016. I intended to have the series finished by now, but life happens. 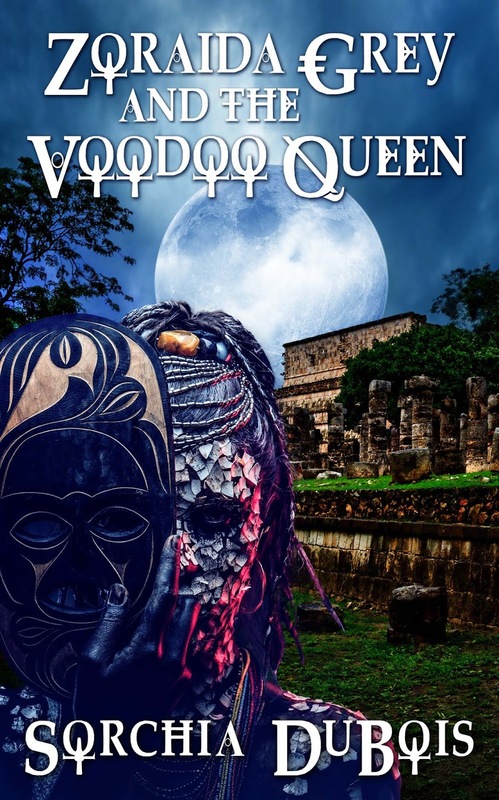 The second book in the trilogy, Zoraida Grey and the Voodoo Queen, is just now available with the last in the trilogy, Zoraida Grey and the Pictish Runes, with my editor at Wild rose Press. What made you want to write it? The whole Zoraida Grey series started because I wanted to write a kind of response to the Gothic novels I grew up with. I always thought the heroines were milksops and the ghosts were either imaginary or benign. I wanted something where the female protagonist might not be experienced, but she was smart and dynamic. She is someone who might indeed trip and fall down as she runs away from a menace, but she’ll hop back up and make that menace wish he’d never been spawned. The ghosts and the magic are very real in her world but she learns how to deal with that, too. And while the romance in the story will change her life, the romantic lead will need to be more than a pretty face and six-pack abs. Zoraida Grey grew from that. What is your next project (or what are you working on right now? Finishing the Zoraida Grey trilogy and an anthology called Witchling: An Anthology of Zoraida Grey Short Stories will take a bite out of the summer, but I’m drafting a Christmas paranormal romance and outlining a murder mystery. Working titles are Winter Solstice and Festival of Blood—but that last one is just for laughs and will probably change. That is another twisted tale. Of course, I observe and harvest personality traits and physical details from real people, but the main source of character and plot for me is a brightly colored deck of Tarot cards. I have a list of character questions and I pull cards to get the answers. While I often have an idea of who this character is, the cards often surprise me. For instance, I was dealing with a minor character who is going to be a source of irritation to the main character and, to my surprise, the cards told me this minor character’s last child is illegitimate. This news causes a hubbub in Castle Logan where the minor character is married and supposed to be producing witchy children instead of half-mortals which her mother considers useless. It’s a minor detail, but I’ve enjoyed watching the other characters react to it. I believe in character-driven plots so I begin with the characters and let the plot unfold through them. How are you celebrating the release of Zoraida Grey and the Voodoo Queen? Oh so many fun things. The complete rundown is on my Witchmageddon Part Deux page. Find links to my posts about birthstones, star signs, and tarot cards in the Zoraida Grey Universe. Plus, visitors can get a 10% discount coupon on beautiful natural stone items at Stoned Hill Creations Etsy shop. For myself, I plan a long, slow sip of Laphroaig and maybe an evening out the day after launch day to celebrate with the fam. Magic may save Zoraida’s life, but what about her heart? What could go wrong indeed? That sounds like perfect summer reading! How can readers get in touch with you? Thank you, Sorchia, for being my guest. Any comments or questions for Sorchia?